One of my new years resolutions was to post more of my favorite records. I was reviewing my posts over the last 2 years and I was disappointed that I’ve only posted 1 kompa record (Gemini All Stars de Ti Manno). I have a decent collection of classic Haitian groups many of which I listen to on a daily basis. I’m now determined to post more of my favorites over the next few months. To start off, I’d like to spotlight one the most beautiful kompas you’ll likely ever hear. 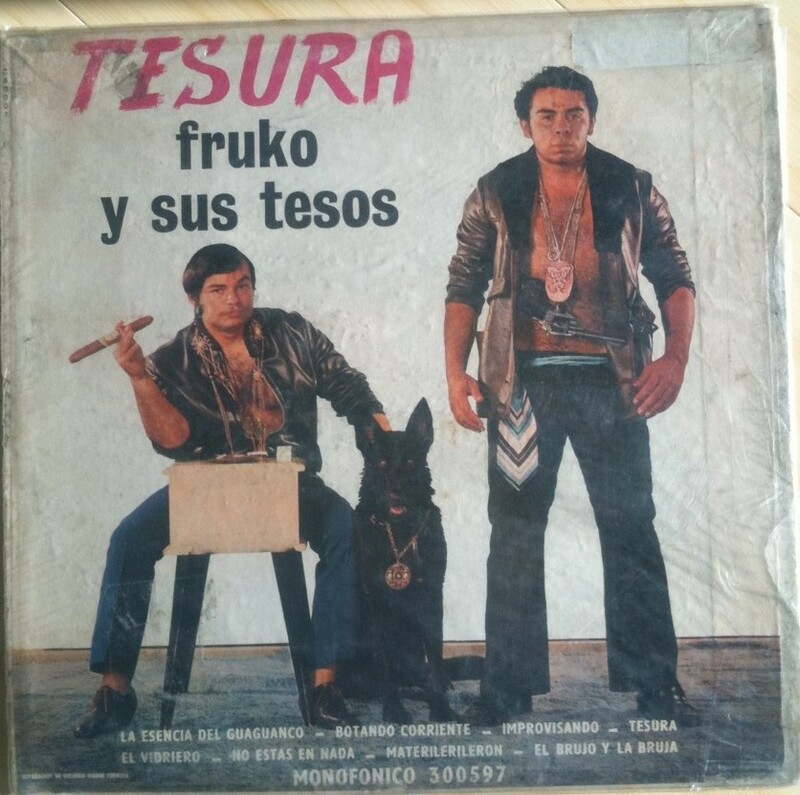 Franz has previously featured Les Shleu Shleu‘s 1974 release Toujous Le Même 4-3, but I’d like to go back to their fourth album from 1969 Tête Chauve. I know, that cover is jarring, yet hard to look away. Tete Chauve means “Bald Head”, and the title song is Tete Chauve A New York so it makes sense, but maybe not. Anyway, the song I’d like to highlight here is Timidite. It’s an amazing piece of music that features Georges Loubert Chancy on sax. What comes out of his instrument is pure magic, specifically half way through the song where he enters in with a melody that somehow manages to simultaneously give you both joyful soothing tones and bitter remorseful ones at the same time. 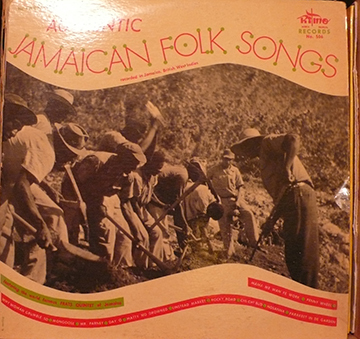 Combined with those reverb guitars and Kompa style chanting make a stunning piece of music. Enjoy! Speaking of African guitar stylings, music compilations, and John Storm Roberts….here’s another noteworthy compilation from his Contemporary African Music Series from the 80’s – the first of the series, I believe. At the time I found this and still today, I know very little about any kind of music from Kenya. No worries! All you need are open ears and an open mind! 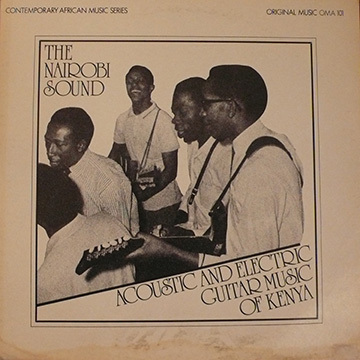 The Nairobi Sound celebrates two contrasting, but equally soulful popular 60’s-70’s guitar styles from Nairobi’s bustling streets – “River Road” music referring to an area of town rich in recording facilities and the “dry guitar” or acoustic style reminiscent of the village musician. Storm Roberts, an accomplished journalist, author, and record producer, devoted his life to studying Afro-latin folk music traditions. Here’s what he writes about his experiences in Kenya in the Nairobi Sound liner notes. 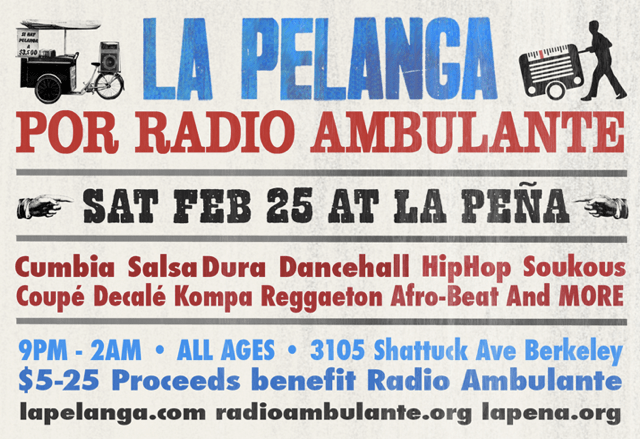 …Unlike Ghana’s highlife or the all-pervasive music of Zaire, this was not primarily a dance style. Nairobi’s nights are too cool for the open-air dance halls that nourished so many musicians elsewhere, and Congolese refugees got most of the jobs in the few joints there were. That left the record companies: store in front, studio in back, tiny loudspeakers outside. The musicians – even the best known – were too poor to own their instruments, but mostly too much musician to hold down other jobs even if other jobs were to be found. So they hung out in the studios, and jammed, and dreamed up songs to reflect the dusty realities of the streets outside…. And now hear are a few tunes from Nairobi Sound that I can’t get enough of, two of which come from unidentified musicians. Check the vocals on Chemirocha, so good!!! To read more about OG RECORD DIGGER JSR check out this interview he did with the good people at Perfect Sound Forever. Once upon a time I couldn’t be bothered with compilations. Why not go straight to the source, I thought. Well, that shortsightedness eventually gave way as I found myself listening to large dosages of Ethiopian Jazz around 2003. With no plans to go record digging in East Africa and being too poor (and uninterested) in shelling out $100 plus for a single piece of vinyl on Ebay, the Ethiopiques series was my next best option! Since then my eyes have opened to the ever-increasing number of compilations that are released each year, documenting even the smallest of musical niches, say like…cinematic Pakistani Psych-Pop or Peruvian Psych-Rock. Who knew such genres even existed?! While finding original vinyl pressings remains hard to trump, over the years my appreciation for carefully crafted compilations has continued to grow. Just within the wild resurgence of West African music in recent years, labels like Sound Way, Strut, and Analog Africa have dedicated countless time to researching, locating, remastering, and releasing lost and forgotten music from a large part of the African continent. My favorite of these comps are chalked full of incredible artwork, photos, history and interviews with the original recording artists! 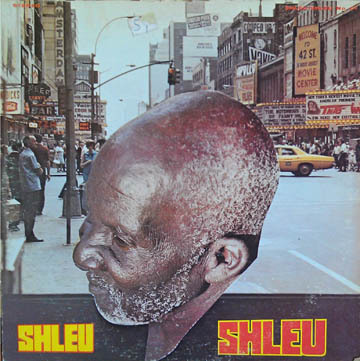 While earlier compilations of African music that came out during the 1980’s “World Music” awakening may not compare to the sleek packaging and dense liner notes of today’s comps, the musical content is often just as deep. 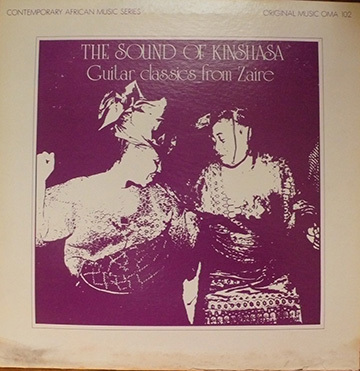 Check out for example, The Sound of Kinshasa, an early 80’s compilation highlighting the influence of acoustic “Spanish” guitar and Latin rhythms on traditional Congolese music. 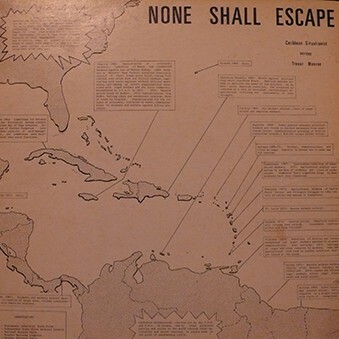 Compiled and released by the British-born ethnomusicologist John Storm Roberts on his own mail-order label Original Music, The Sound of Kinshasa does an excellent job exemplifying the connections between Latin dance music such as rumba, chachacha, and salsa with Congolese rhythms like kirikiri, soukous, and boucher. Featured here are 4 of my favorite selections from The Sound Of Kinshasa. Enjoy!